Ismail Chota Meer (known as IC) was born in 1918 in the small town of Waschbank in Northern Natal (now KwaZulu-Natal). His father was a trader. He was forced to go to work at an early age when his father’s business collapsed in 1930. Meer studied Law at the University of the Witwatersrand which he completed in 1946. He became in involved in radical politics when he joined the Communist Party of South Africa (CPSA) in his second year at university. During this period he also helped found and run the Natal Teachers’ Union. He was a close friend of Nelson Mandela, then, also, a law student at Wits University. Meer was one of the people behind the signing of the “Doctors’ Pact” of 1947 between Dr AB Xuma of the African National Congress (ANC), Dr Yusuf Dadoo of the Transvaal Indian Congress (TIC) and Dr Monty Naicker of the Natal Indian Congress (NIC). Meer was also one of the principal participants in both the 1946 Passive Resistance Movement and the 1952 Defiance of Unjust Laws, and also played an instrumental role with respect to the drawing up of the Freedom Charter in 1955. During the Defiance Campaign of 1952, he served on the Joint Executive Committee of the ANC and the NIC and actively mobilised against all unjust laws. During the 1940s, Meer and a generation of other radical Indian political activists took over from the conservative old guard of Indian political leaders. He worked closely with Dr Dadoo from 1945, and they were elected to the TIC Executive, with Dadoo as president and Meer as secretary. They took over the leadership of the South African Indian Congress in 1946. In their new positions they called for a plan of action in the Gandhian spirit of passive resistance. Meer’s political understanding was hugely influenced by the writings of Nehru and his childhood exposure to the charisma of Clements Kadalie of the Industrial and Commercial Workers’ Union. He interacted with political luminaries of the time such as ANC leaders Chief Albert Luthuli and AWG Champion. It is during this period that he developed his intellectual and journalistic skills and ideologies through the liberal study group (which he was instrumental in establishing in 1937), the Left Book Club. During the same period, he also contributed in an editorial role to Indian Views and New Outlook and to a column entitled, I remember in the Leader newspaper (writing in his brother’s name AC Meer as he, himself, was banned at that time) in which he recalled the involvement of Indians in the social and political life of South Africa. He was an active participant in the 1946 Passive Resistance Campaign. In 1946, he edited the weekly Passive Resister in Johannesburg and spent a month in prison for his participation in the campaign in then Natal. He was a strong believer in closer African-Indian cooperation in all campaigns. Meer served in diverse roles from the age of 19, including being a principled campaigner, a seasoned trade unionist, a prolific journalist, educationist, politician, lawyer and author of the history of the squalid living conditions and struggles of the oppressed majority of South Africa’s population. He was also a vice-president of the Natal Indian Congress in the mid-950s, as well as Natal president of the South African Congress of Trade Unions. He was subjected to continuous harassment by the apartheid regime and was among the 156 leaders charged during the 1956 Treason Trial. He was detained in 1960 together with Inkosi Albert Luthuli during the State of Emergency. In the 1980s, he continued to give advice to the formations of the Mass Democratic Movement. After the establishment of the democratic State in 1994, Meer was sworn as a Member of the KwaZulu-Natal Provincial Legislature. He served two terms. He was married to Professor Fatima Meer, another struggle icon who contributed enormously to the national liberation struggle. The rich life of Ismael Chota Meer, is captured concisely in his autobiographical work, A Fortunate Man, which was later finished by wife Fatima and daughters after he passed away in 2000. 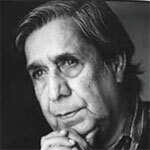 On 27 April 2011, the State President, Jacob G Zuma posthumously honoured Ismail Chota Meer with the Order of Luthuli in Silver for his outstanding contribution and as one of the longest serving stalwarts in the struggle for a democratic South Africa.